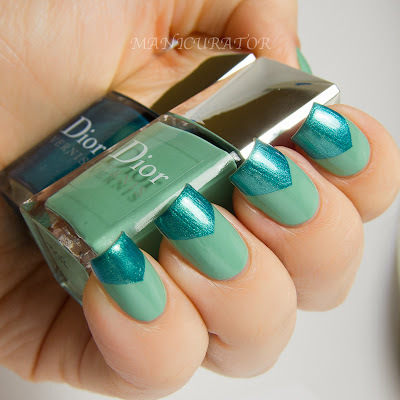 The summer 2013 Bird of Paradise Collection by Dior Vernis is here! 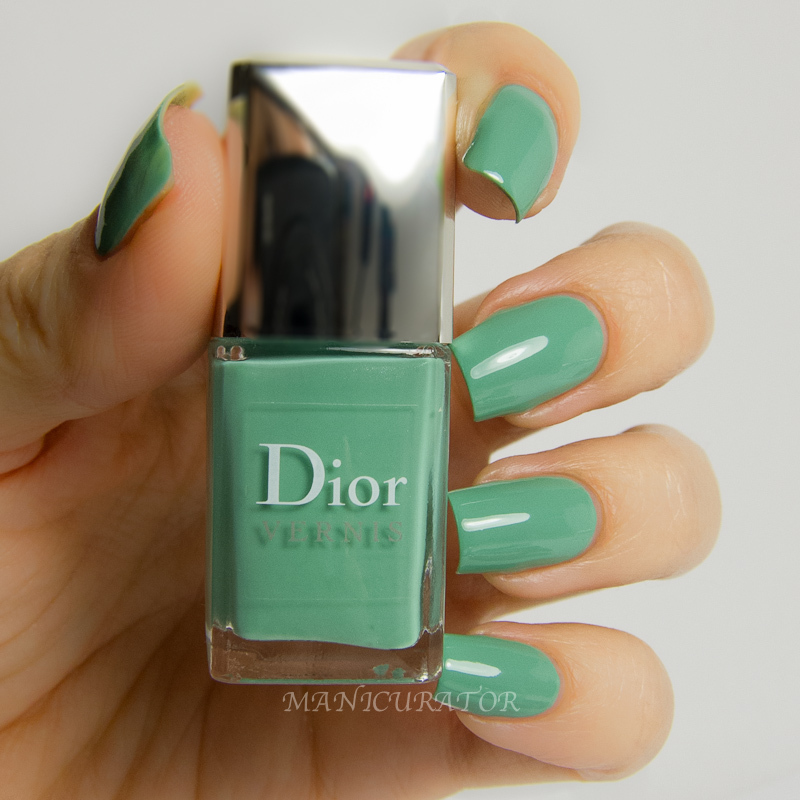 Available at Dior counters and Dior.com now. These are smaller sized bottles and come as a pair. Each duo includes 2x 0.23oz bottles. 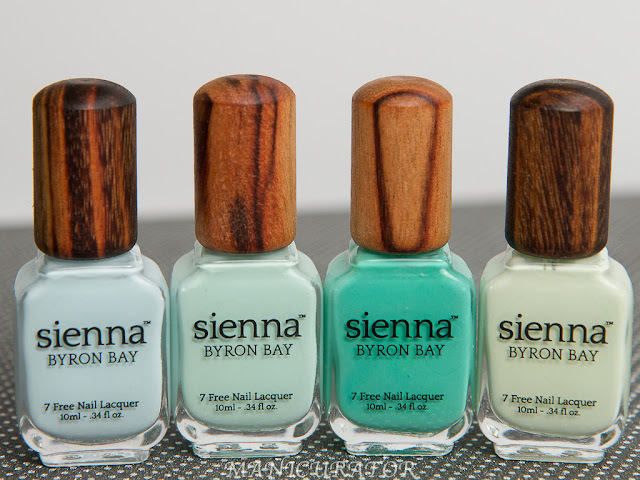 I did a simple nail art look for each set, I wanted to show how they paired, but also show enough of each shade to let you see exactly what each one looks like. 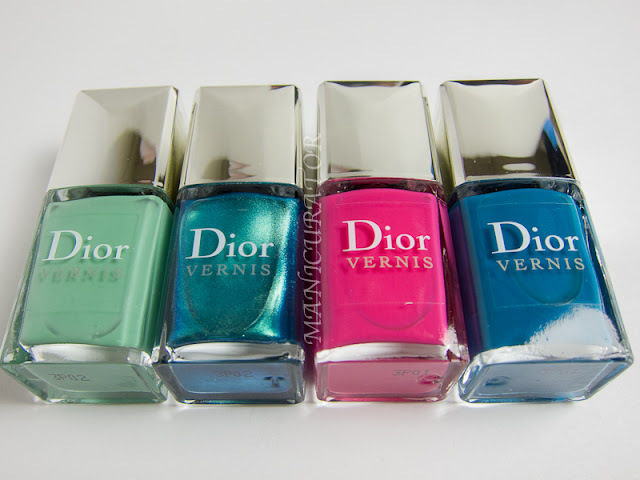 Dior Vernis Samba set on the left, Bahia set on the right. 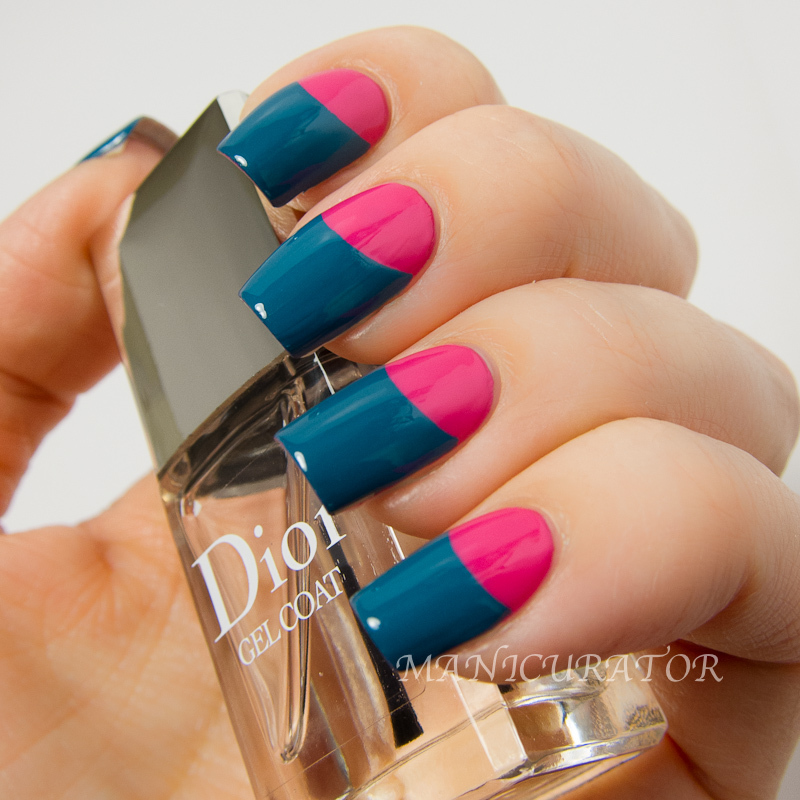 This is two very easy coats with a stellar formula, over 1 coat of Dior ridge filler base coat. No top coat! This one is a clear winner for me. 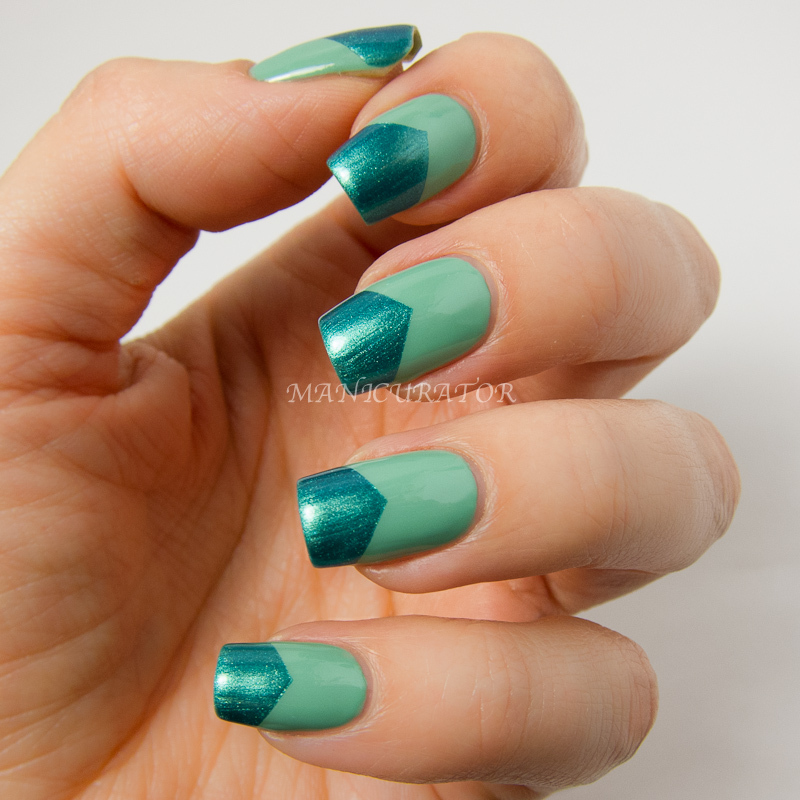 My simple nail art look with the Samba set. 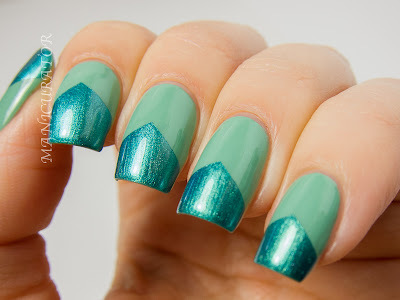 The second polish is described as "shimmering peacock feather green" and I want to marry it. I absolutely love it, application was easy, this is 2 coats on the tips followed by Dior Gel Coat top coat. First polish I used from the Bahia set described as "hibiscus pink" applied with ease, two coats for opaqueness. My photos developed with too much red in them, so I color adjusted to get as close to the actual color as I could. In reality I think the color leans a tiny bit more purple/magenta. 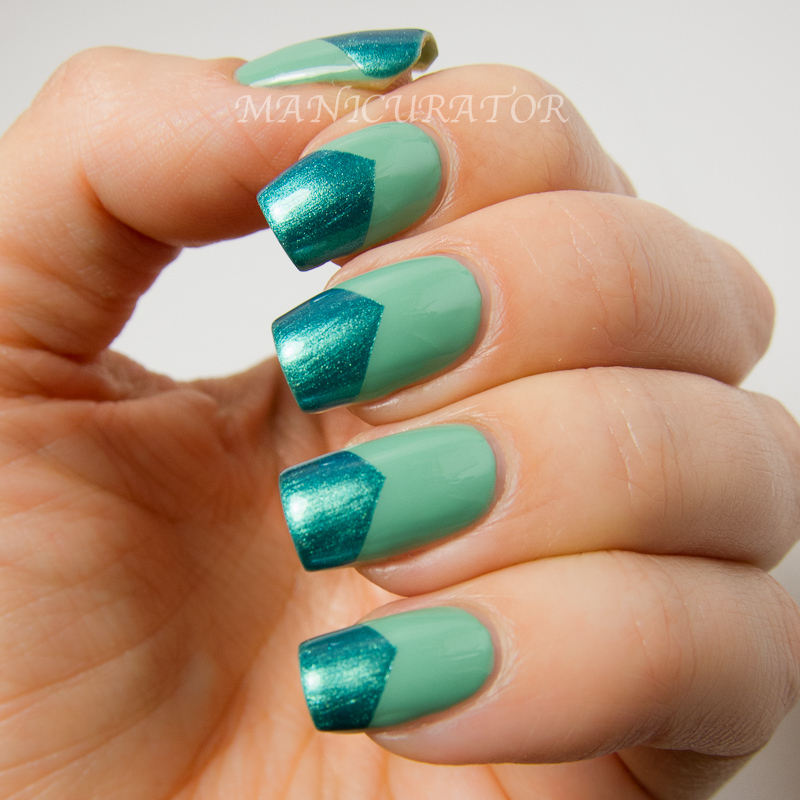 My simple nail art with the Bahia set, using two coats of the second color described as "petroleum blue" which is a thing. Yes, I googled it. It's exactly petroleum blue :) My photos showed it a little too navy, so again, I tried to color correct. 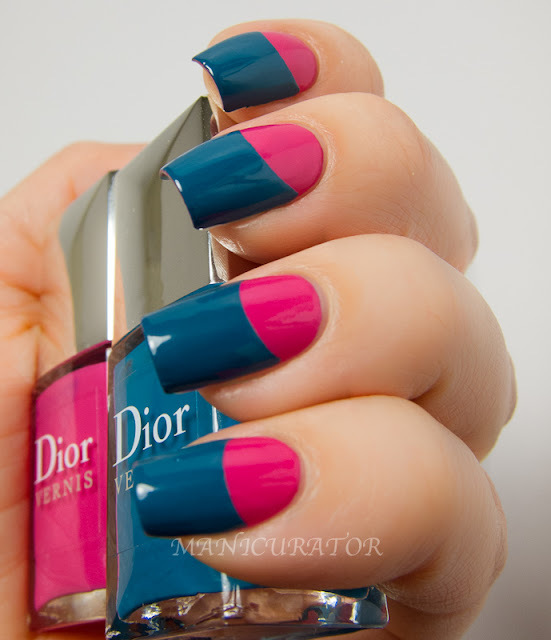 Both manicures were topped off with Dior Gel Coat which I love! 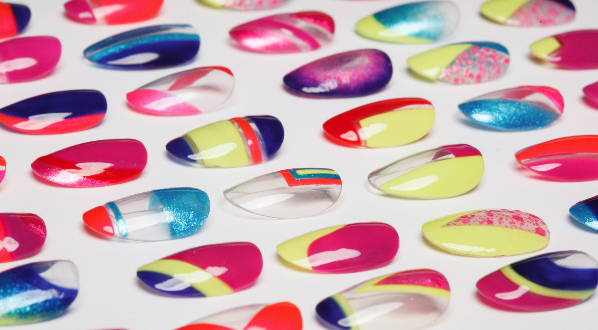 I'm always nervous to try a new top coat when I've spent so much time on a nail design, creating perfect lines. Happy to report that this one covers, glosses and smooths equivalent to Seche Vite. With no smearing and no tip shrinkage. My one and only gripe with these...too small. I want full size bottles of this beauty in a bottle!<3 Have you picked up either set? Which one is more "you"? If I had to get just one of them it would be the Samba set for sure. 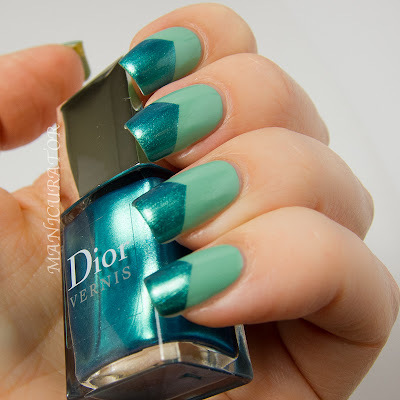 I looked at these at the Dior counter yesterday........ and resisted - the colours are lovely, but I just think I've already got something *close enough* for all of them! I love the way you've used them together! These are all so gorgeous! I especially love the green. 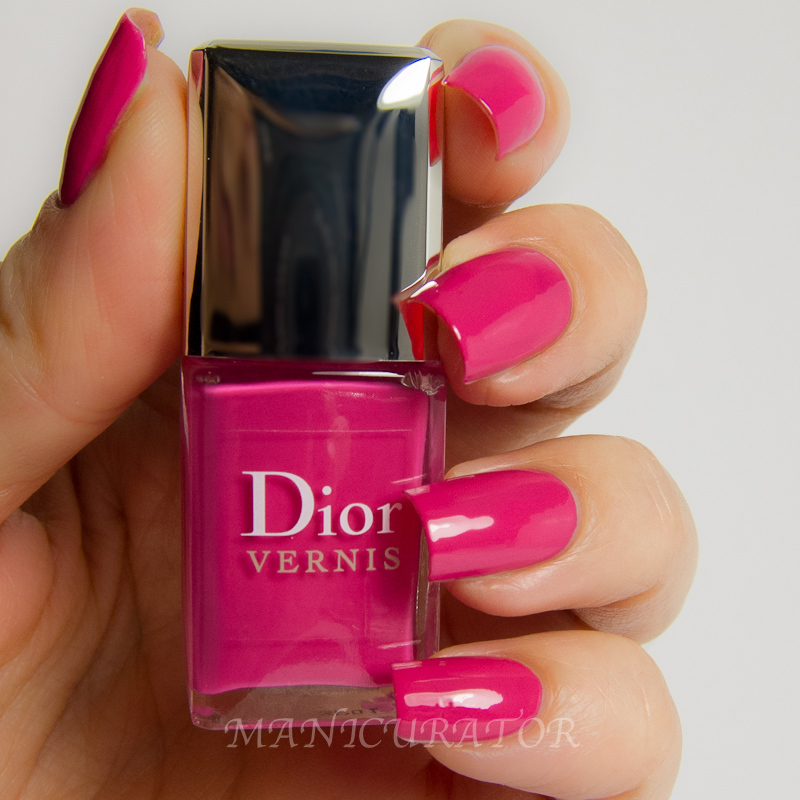 The pink color 667 from the bahia set is pink grafitti which has been sold before in the original large bottle! Perfect looks! Love these colors on you ♥.